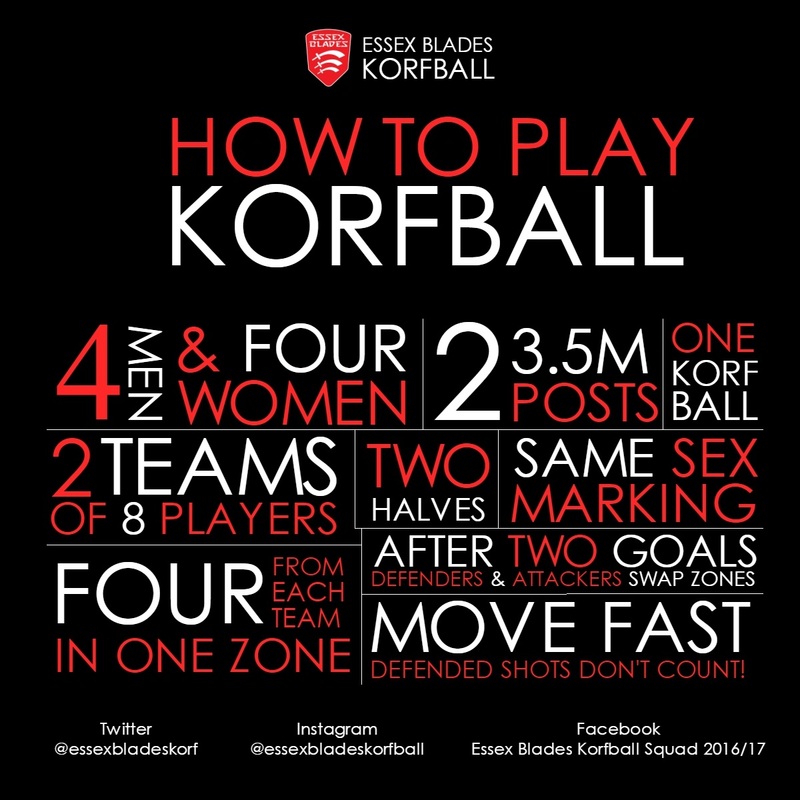 Help Essex Korfball Grow! 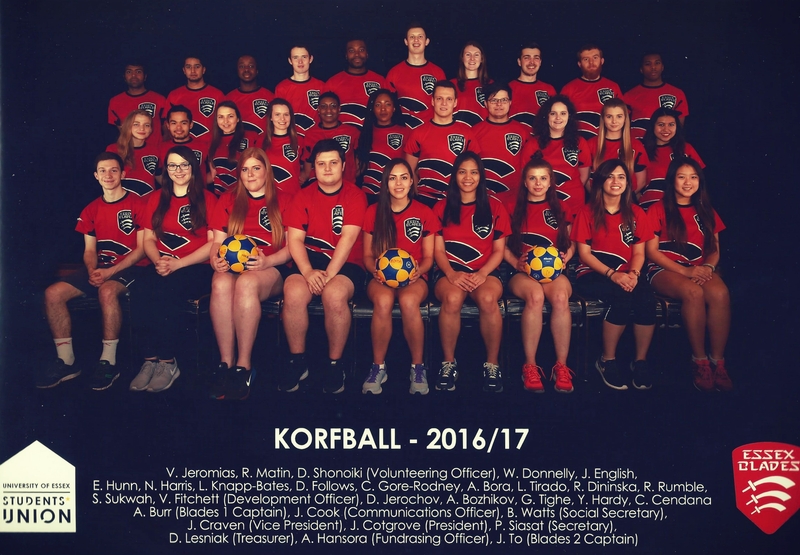 Korfball is growing at Essex University and needs your help! The Essex Blades Korfball Club is raising £400 to pay for external coaching hours, something which is crucial to our growth as team and a club as we're still classed as a new club in the world of University Korfball (in our 5th year!). Moreover, this money would help fund travel to tournaments, as our competitions take us to all corners of the UK. If we reach our higher target of £800, we will be able to send members of our club on a level one coaching course, which would help promote coaching internally within the club and increase the general level of skill within the club. Furthermore, this target would help the club fund travel to and from accommodation while at tournaments, as our competitions take us to all corners of the UK and sometimes, even further afar to the Netherlands! Korfball originates from the Netherlands, the word 'Korf' is simply Dutch for basket. Korfball is similar to basketball, netball and handball, but with a unique defending rule which makes the sport equal as height is irrelevant. Teams consist of eight players, four male and four female; two of each gender in each section. The court consists of two large squares joined along the centre line and in each square there is a 'Korf'. Korfball is the sport of the future, based on cooperation and gender equality. Players can only be marked by an opposing player of the same gender, with all actively participating in attack and in defence. Once the section starts the game in attack, the other in defence, but players swap roles after every two goals. Korfball: Friendship, Teamwork and Equality! Essex Blades Korfball Club was established 5 years ago in 2013. Since then we have progressed from just one team in the Norfolk league to two, with our first team advancing into the 2nd tier league and are competing within that league. Our BUCS team have progressed to the Trophy competition of the BUCS season successfully for the last 3 years! Being in our 5th year existing as a club, we want to keep up our amazing strides which the club has taken throughout its 5 year existence. The club's potential to reach the upper echelons within the British Korfball leagues is incredible, with our talent shining in isolated incidents throughout our season so far, with club captain Alex Burr ranking as top male scorer in the 2nd round of BUCS qualifications and club president Jack Craven following a close 3rd. Furthermore, newcomer Josh Neil was voted MVP in the 1st round of BUCS qualifications. It is this level of potential which exists within Essex Blades Korfball and is a potential we would loved you to contribute to and help us as a club grow! - £400 for a minimum of 20 hours of coaching from an external coach as well as contributing to our travel and accommodation for tournaments. If we surpass our target, any extra money we would have gratefully received would go towards acquiring new equipment, kit for new players and an even greater contribution to the club's travel and accommodation across not only the UK, but to tournaments in the Netherlands as well. We have great rewards for all areas of any donations we receive, whatever the amount you want to give, we are extremely grateful! Check them out and see what's on offer for all your help! You don't need to give money to help us succeed! By sharing our project you are supporting us! The more people who hear about our project, the more chance we have in succeeding! Although you don't need to give money to help the project, we would love you if you did! Any amount will be hugely appreciated, and all our members love training so you can guarantee some smiles there! If you can help promote our project in any way, please do! If you have any queries feel free to drop an email to our club president Jack at jcravea@essex.ac.uk. We can't wait to see what we can achieve with the outcome of this project - Back the Blades!!! Thank you for donating to our club! We will give you a shout out on our social media platforms for being an awesome person who donates to awesome things! Thank you for donating to our club! We will being putting a personalized video out on our social media platforms, with shout outs to all those who have donated to our club at this pledge or more! You have donated to our club and we are eternally grateful! Wow! As a massive thank you for such a generous donation to our club, we would love to invite you to our training sessions free of charge to play with the team you very graciously donated to, showing you all the tricks of Korfball! DM us on Twitter @essexbladeskorf with you your e-mail address and we'd be happy to send the updated training times to you!